Mungbean (Vigna radiata) (L.) R.Wilczek and urdbean (V. mungo) (L.) Hepper are two warm-season legumes that are nutritionally dense and contribute to food security. Despite their value, they have historically been underutilized. The N. I. Vavilov’s All-Russian Institute of Plant Genetic Resources Vigna germplasm collection is particularly critical for these crops because it includes accessions acquired over a century, from before 1920 into the twenty-first century. 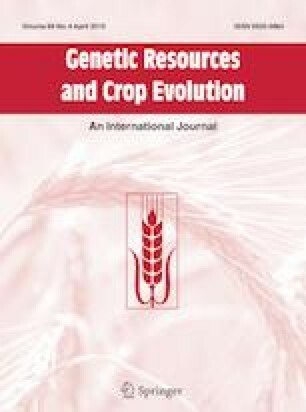 Here we evaluate 986 accessions of V. radiata (822) and V. mungo (164) from the VIR collection to assess historical shifts before and after the Green Revolution in three of the most important traits for breeding: the maturity period, seed productivity per plant, and the weight of 1000 seeds. In addition, for the subset of 200 accessions collected in 1910–1926, another 23 morphological and agronomic traits have been evaluated. This examination allows us to assess differences among these two closely related species, reveals the differences in germplasm from different regions, and trace changes in phenotypic characters in accessions acquired at different times. Indian landraces, in the region of primary domestication and diversification of both crops, are the most phenotypically diverse. It is evident that phenotypic diversity has decayed over time, with shifts towards medium time to maturation and large-seeded types in more recently acquired accessions bred after the start of the Green Revolution. The substantial phenotypic variation in the collection indicates that a number of breeder-desired traits are present in the VIR collection, particularly in the older material pre-dating the advent of Green Revolution breeding. The online version of this article ( https://doi.org/10.1007/s10722-019-00760-2) contains supplementary material, which is available to authorized users. This work was supported by Russian Scientific Fund Project No. 18-46-08001 on the basis of a unique scientific installation Collection of plant genetic resources VIR. EvW is also supported by USDA Hatch funding through the Vermont State Experimental Station. CRL and CTT are supported by the Ministry of Science and Technology of Taiwan 107-2923-B-002-004-MY3.